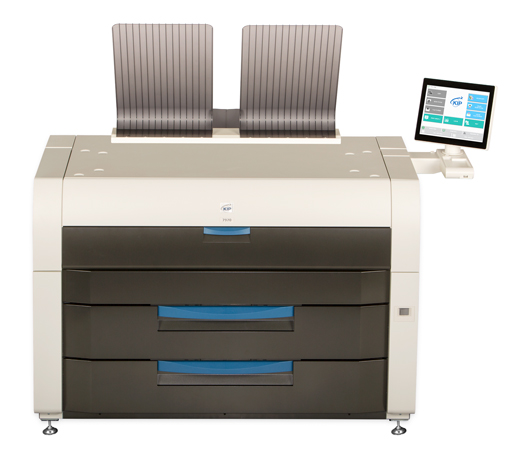 The KIP 7580 MFP Systems with CIS scanning offer a new innovative space-saving design with top stacking that fits where you need it – in tight spaces or against the wall. Automated workflow efficiency is integrated with the KIP smart multi-touchscreen for powerful single touch efficiency. Workflow Automation records selected system feature controls for single touch efficiency that simplifies user interaction, saves time, reduces cost and improves accuracy.